Imagine having the courage to do something outside of your normal comfort zone? Some people sky dive, some people learn ballroom dancing, but what about stand-up comedy? The Chicago Stand-Up Project documents well known Chicago personalities, not known for comedy, as they receive a crash course in stand up from professional Pat McGann, in an attempt to put together and perform a live set at Zanies in Old Town. Hosted by Ana Belaval from WGN, The Chicago Stand-Up Project will provide a look behind the scenes as successful Chicagoans attempt to conquer their fears and step up to the mic! Ana Belaval is currently a feature reporter on the WGN Morning News, covering the "Around Town" segment, which focuses on various people, places and things of interest in and around the Chicago area. Ana also contributes to the public service show for Chicago's Latino community, Adelante, Chicago!" Prior to joining WGN in June 2005, Ana spent nine years at Univision, starting as a general assignment reporter in the Chicago bureau and working her way up to network correspondent for Univision's national morning show based in New York. 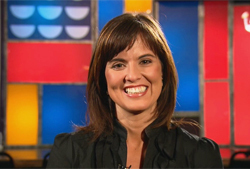 While at Univision, Ana was nominated for an Emmy for her reporting series Ana Lo Hace, in which she performed various jobs held by Hispanics in Chicago. While in Chicago, Ana was also a weekend anchor and general assignment reporter. A two-time Emmy winner and four-time Emmy nominee, Ana received awards for her Living Green and One Tank Trips series. She was also a finalist for the Peter Lisagor award for the special story, anabelaval.com. In 2001, Today's Chicago Woman selected Ana as A Woman to Watch for her accomplishments in the media industry. Ana is involved with the Susan G. Komen Breast Cancer Foundation's Dancing with Chicago Celebrities created by Arthur Murray Dance Studios. She received a Bachelor of Arts degree in Journalism from American University in Washington D.C. Ana was born and raised in San Juan, Puerto Rico and is very proud of her heritage. She now lives in Chicago with her husband and young daughter, Amelia Victoria. Ana shows her comedic side when performing her amateur stand up routines at various spots around town including Zanies Comedy Club. Pat McGann is a professional stand up comedian and Chicago native. 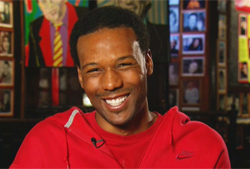 Recently named one of Chicago's Top 10 Funniest by Reader's Digest, Pat is a regular at Zanies Comedy Club. His clever writing, quick wit, and likability have translated into one of the most refreshing stand up acts around. This summer Pat was one of 20 comedians in the U.S. invited to perform at The Great American Comedy Festival. While continuing to build and polish his stand up act, Pat remains involved in many creative projects. In addition to his role on The Chicago Stand Up Project, Pat is also a freelance writer and the comedy adviser for The Raue Center in Crystal Lake, IL. Shani Davis - U.S. Olympic Gold Medalist, born and raised in Hyde Park. Shani won Gold and Silver Medals at both the 2006 (Torino) and 2010 (Vancouver) Olympic Winter Games. 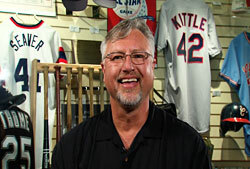 Ron Kittle - Former White Sox Slugger (1982-1986, 1989-1990, 1991) and 1983 American league Rookie of the Year.